LL.B., University of Jordan, Ammam, Jordan; LL.M., University of Bristol, England; MA, University of York, York, England; S.J.D., Harvard. 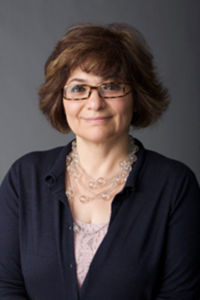 Prior to joining the Law Center, Professor Abu-Odeh was a consulting assistant professor at Stanford Law School, where she taught Criminal Law, Comparative Family Law, Islamic Law, and a seminar entitled “Nations, Races, and Religion.” Professor Abu-Odeh was a writing instructor in the Graduate Program and Coordinator of Special Academic Projects, Islamic Legal Studies Program, at Harvard Law School. She worked at the World Bank as legal counsel in the Middle East/North Africa Division, Legal Department. As an elections observer for the United Nations, South Africa, Professor Abu-Odeh participated in voter education, party monitoring, and election supervision during the period leading to the first democratic elections in South Africa. Professor Abu-Odeh has written articles on Feminism and Islam. Lama Abu-Odeh, Post Secularism and the Woman Question (working paper) (reviewing Saba Mahmood, Politics of Piety: Islamic Revival and the Feminist Subject (2005)). Lama Abu-Odeh, Janet Halley and the Art of Status Quo Maintenance, 2 Soc. Just. & Equity L.J. 5-46 (2019). Lama Abu-Odeh, Syria: The Name of Our Shame, Al-Jumhuriya, May 26, 2016. "The trouble with Deneuve," an opinion piece by Professor Lama Abu-Odeh, in Al-Jumhuriya, January 15, 2018. "Responding to Bassam Haddad’s False Binary on Syria," in Muftah, November 7, 2016, an opinion piece by Professor Lama Abu-Odeh.